Hi I'm Rachel and welcome to my creative blog. I just recently got into crafting and am having a blast experimenting and trying new things. I'm working as an Accounting Manager, but whenever I'm not working you will find me in my craft room. What can I say I'm a craft nut! "The desire to create is one of the deepest yearnings of the human soul. No matter our talents, education, backgrounds, or abilities, we each have an inherent wish to create something that did not exist before. We develop ourselves and others when we take unorganized matter into our hands and mold it into something of beauty." One of my friends little girls birthdays was this week and I thought I would make her a birthday outfit. I started by making a tutu like the one I made for Madison. Then I made the party hat using this tutorial. Then I took an old onesie that Madison never wore and appliqued a cupcake onto it. I gotta say this was a very fun project and I may have gotten carried away on it. Girls are so fun!! This was my summer project. My mom, mother in law, and I spent hours designing and putting this nursery together. My mother in law Gail started the ball rolling by painting the entire room pink for us. She did an amazing job! She also helped me paint Madison's dresser that my grandma gave me white. After that my mom and I took a trip to Denver Fabrics and found the most adorable bird fabric and coordinating pink dot that we knew would be perfect! We found the crib at Burlington coat factory, but spray painted it white because it was a yellowy cream that just didn't work with the room. For the bedding I sewed the crib skirt and the Minky blanket. My mom made the bolster pillow. 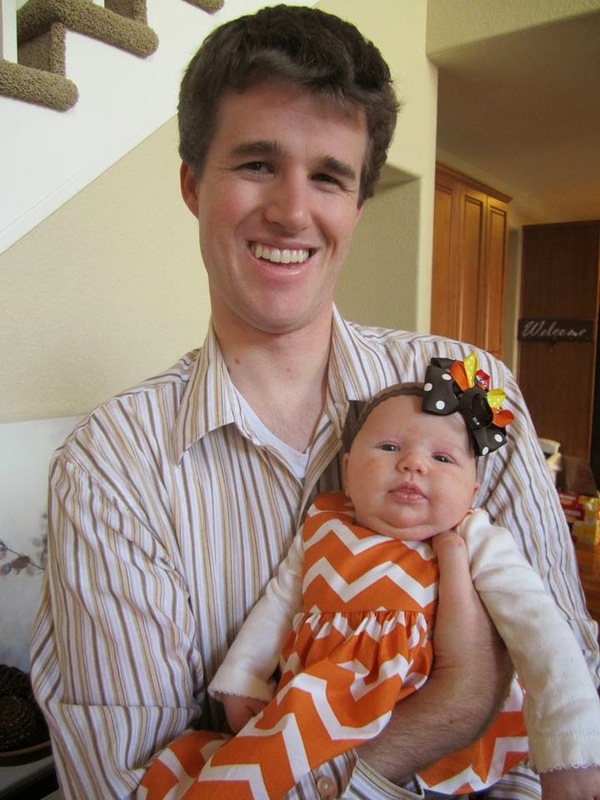 The crib sheets and bumpers came from pottery barn kids. We then sewed the canopy and drapes to go over her crib. We added ready made roses we found at Hobby Lobby to give it a little something extra. For the tie backs. We found these birds at Hobby Lobby and spray painted them white and hot glued them to tiebacks. My mom made the valance by stapling some of the dot fabric onto a wood curtain rod. The finials came from land of nod. The dresser my grandma gave me also came with a mirror. 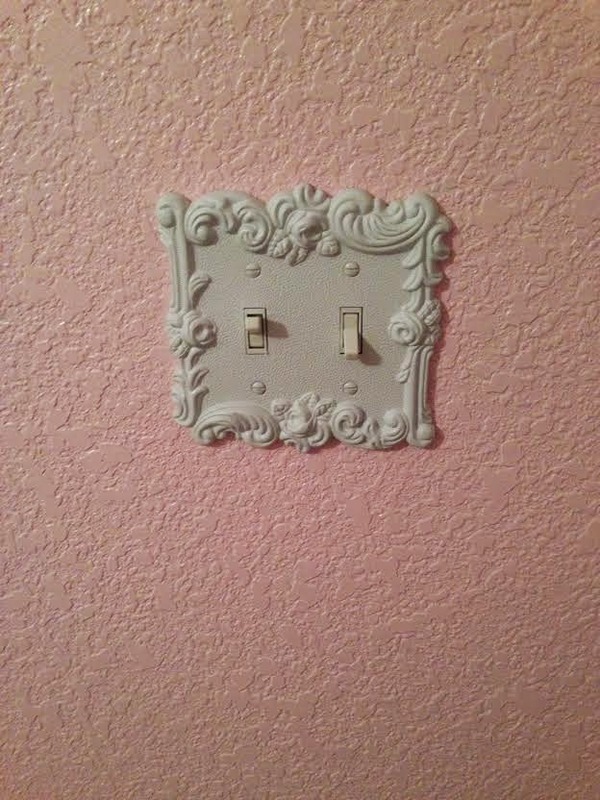 It looked ok white but we both thought it needed a little something to spruce it up. So we covered fake flowers in plaster of Paris and hot glued it to the mirror. The lamps were from my childhood room but the shades had yellowed so I covered them in rose fabric. We found the rocking chair off of craigslist and spray painted it white. My grandma gave me the nightstand that I also spray painted. I made the pillow that went on the chair. I even changed out the light fixtures because it made the room even cuter. I absolutely love how everything turned out. As you can see Madison loves her room which makes it worth the effort. It isn't very often that your team makes it to the Super Bowl so I had to make Maddie an outfit. I'm so glad I had an excuse to finally make a fluffy tutu. 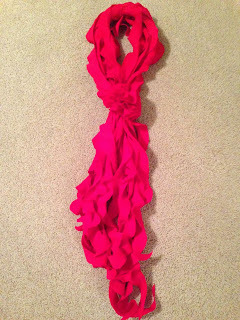 I grabbed some of those 6 inch wide tulle spools from Hobby Lobby and cut each strip to 18 inches long and then tied them around some 1/2 inch elastic. It was super easy and fast. 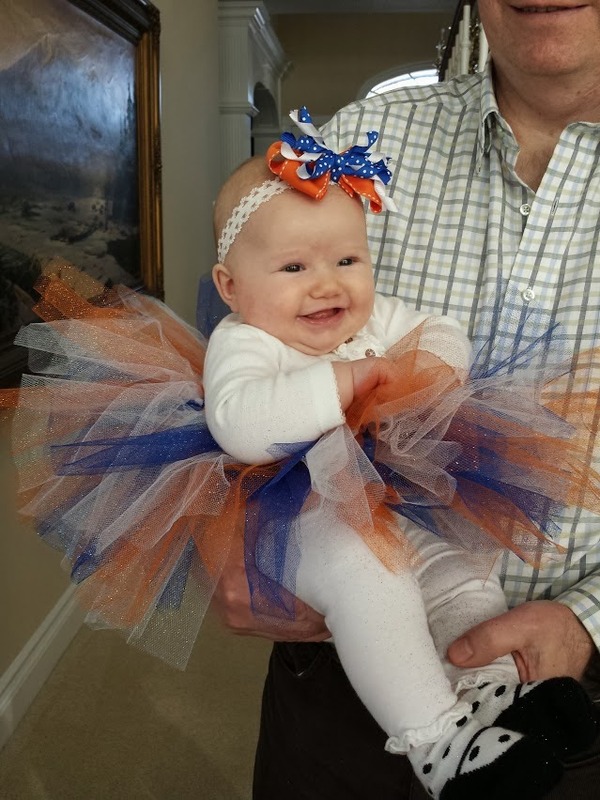 Add a homemade bow and you got yourself a cute Bronco fan. 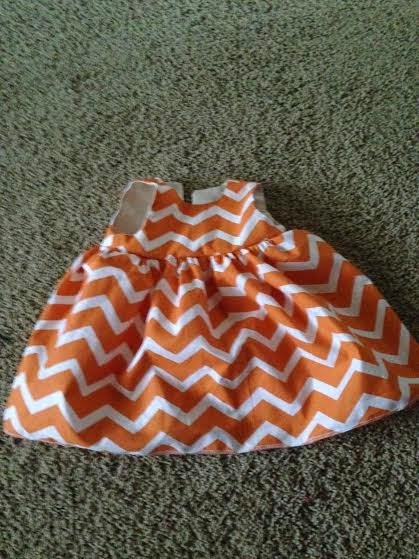 It's been a dream come true to have a little girl to sew for. I just had to make her a little outfit for thanksgiving. I whipped up this chevron dress and hair bow for the occasion. 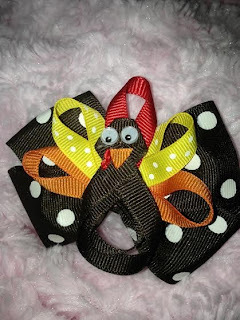 I used this tutorial for the dress and this tutorial for the turkey part of the hair bow. For our ward enrichment night we made these adorable scarves and I couldn't help but share. I love how it turned out and can't wait to wear it this winter. I don't have specific directions on how we did it, but here is a similar tutorial. I've been meaning to make a birthday banner for years and finally got around to it. I got the chevron fabrics on sale at Joann's during 4th of July weekend. To make the banner I just cut two 7 by 7 inch squares for each letter. I already had the letters cut out in my unfinished projects tub (I have no recollection of cutting them out, but it sure did save time). I then appliqued the letters on, sewed the squares together with a 1/4 inch seam allowance, turned the squares right side out, ironed the squares, and then sandwiched the top of the squares in between bias tape. I absolutely love it and it goes perfect with the balloon wreath I just made. I made a puppet theater awhile back that needed some puppets to go with it. So when I saw this tutorial I just had to make them. These puppets were very time consuming, but they are adorable so it was worth the effort. Can't wait for baby girl to play with them.